300 years after a great conflict between Earth and Mars known as the "Calamity War," a woman named Cordelia sets out on a journey to Earth to speak for the independence of the Martian city of Chryse, which is under the control of the Earth government. Escorting her is the private security company CGS members Mikazuki Augus and Orga Itsuka. When a group named Gjallarhorn attacks CGS and Cordelia, Orga sees this as a chance to rebel against CGS and launch a coup. 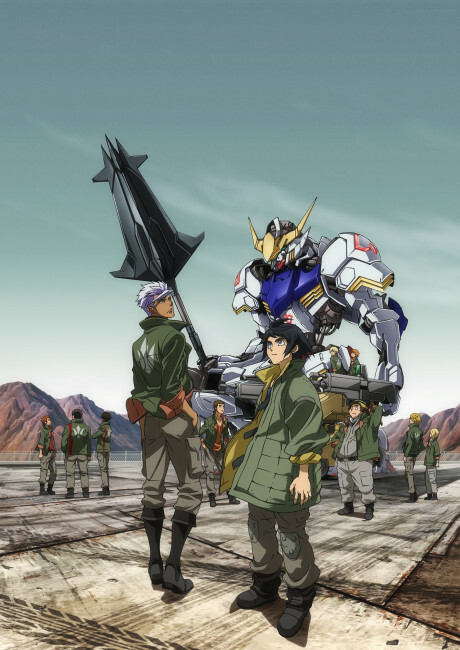 Mikazuki and Orga are thrust into a new conflict. To fend off Gjallarhorn, Mikazuki rides an old mobile suit from the Calamity War, powered by a nuclear reactor, the Gundam Barbatos.